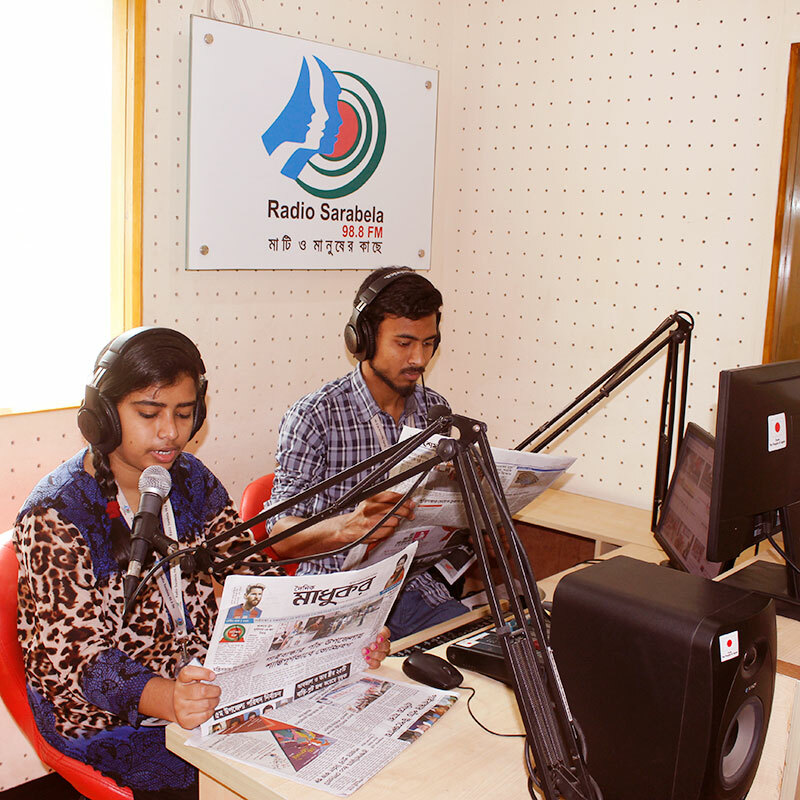 The Radio Sarabela 98.8 fm is the one and only community radio of Gaibandha. 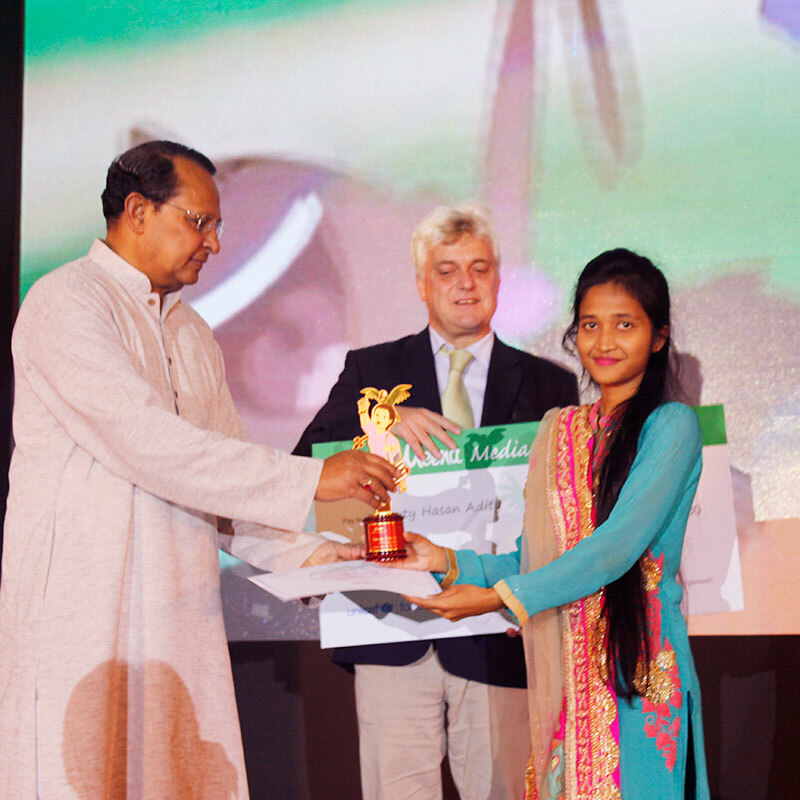 The Radio Sarabela has been stablished by SKS Foundation as a non-profit social entrepreneurship for uplifting the rural & char community of Gaibandha supporting them with the free-flow of relevant information. Radio Sarabela aims to provide necessary information through entertainment with a view to reducing poverty, discrimination and injustice of rural populations. 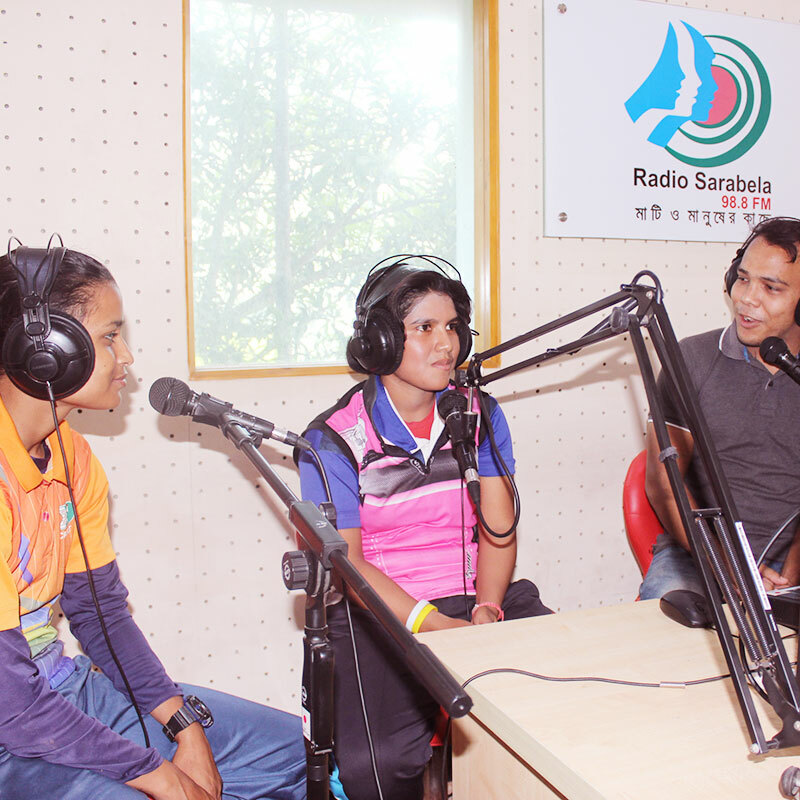 In relation to this, Radio Sarabela works together with community people for making & broadcasting daily 16-hour (7.00 am to 11.00 pm) transmission including programs, talk-shows, news bulletin and Public Service Announcement (PSA) on social awareness, health, education, agriculture, career, water & sanitation, local culture and heritage, live events, sports, disaster awareness, market prices of daily goods, relevant socio-cultural and economic issues, legal aid, rights and empowerment of girls/women and disadvantaged groups such as Dalits, Harijon, Third Gender and ethnic minorities, etc. 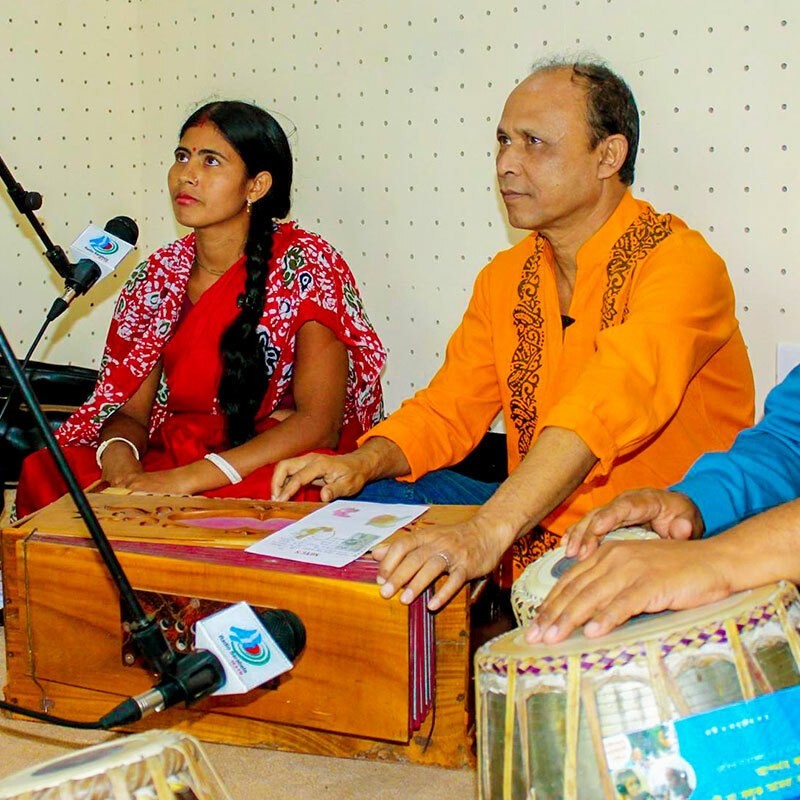 The Radio Sarabela is the highest on-airing community radio in Bangladesh. Our coverage area is 25 square km in-air from the Station with 250W transmission power while it is covering all the 7 upazilas of Gaibandha district. 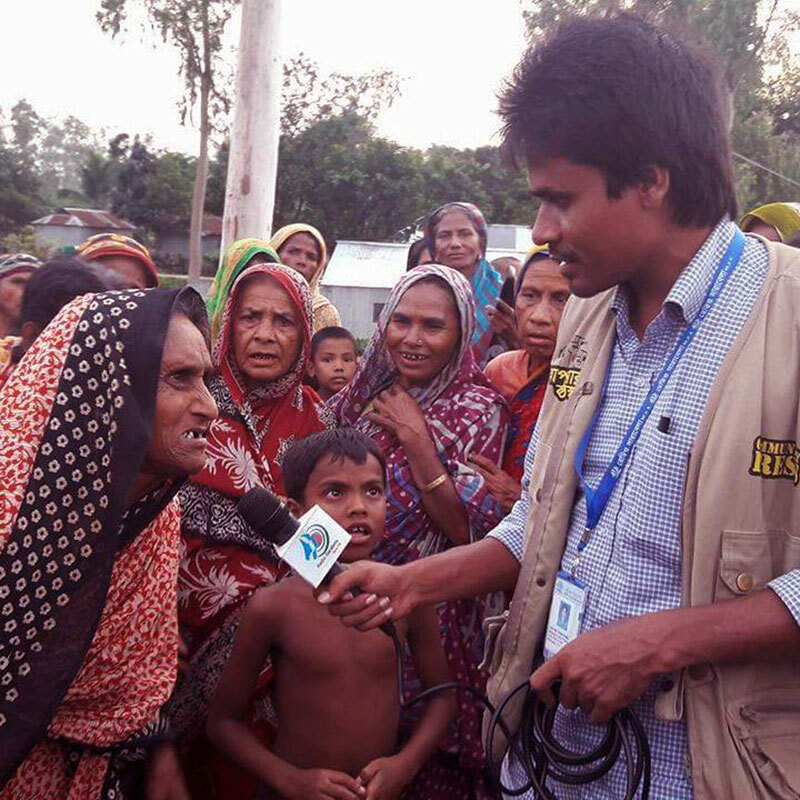 Presently, Radio Sarabela is covering about 1 million population of Gaibandha district covering the students, farmers, teachers, girls and women, workers, businessmen, youths, boatmen, fisher-folks, government officials and children. We also have on-line broadcasting that covers the whole and diversity of listeners. 9 skilled and experienced staff and 45 part time youth community volunteers (33 female) are engaged in operating the Radio Station. Within the short period, Radio Sarabela has built trust among local population and administration. And based on its transmission & quality programs, Radio Sarabela has got a number of national and international awards as recognition. 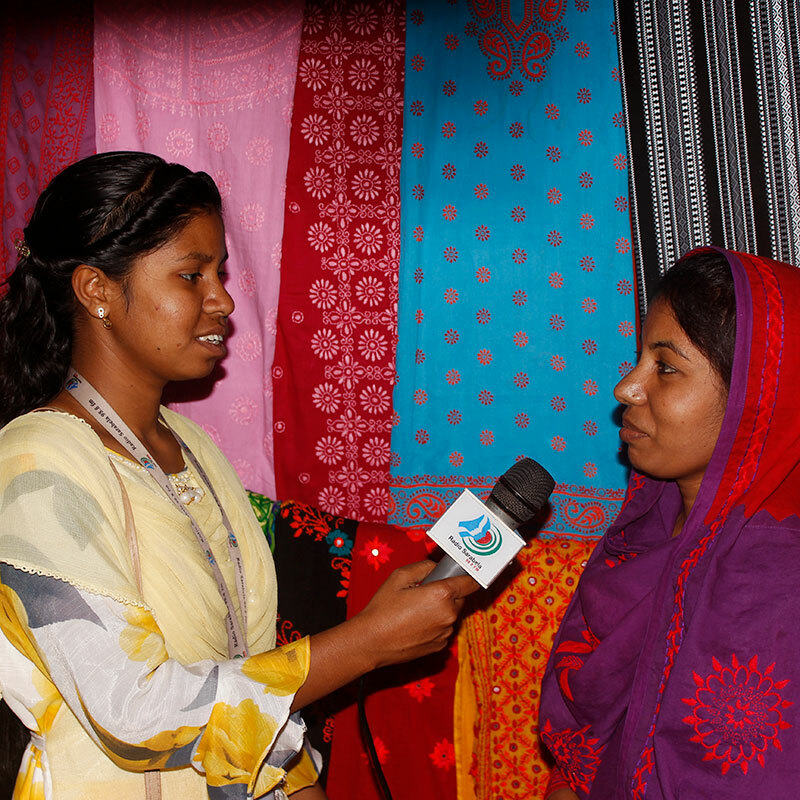 The mainland & char community of Gaibandha is enjoying their rights of access to information. 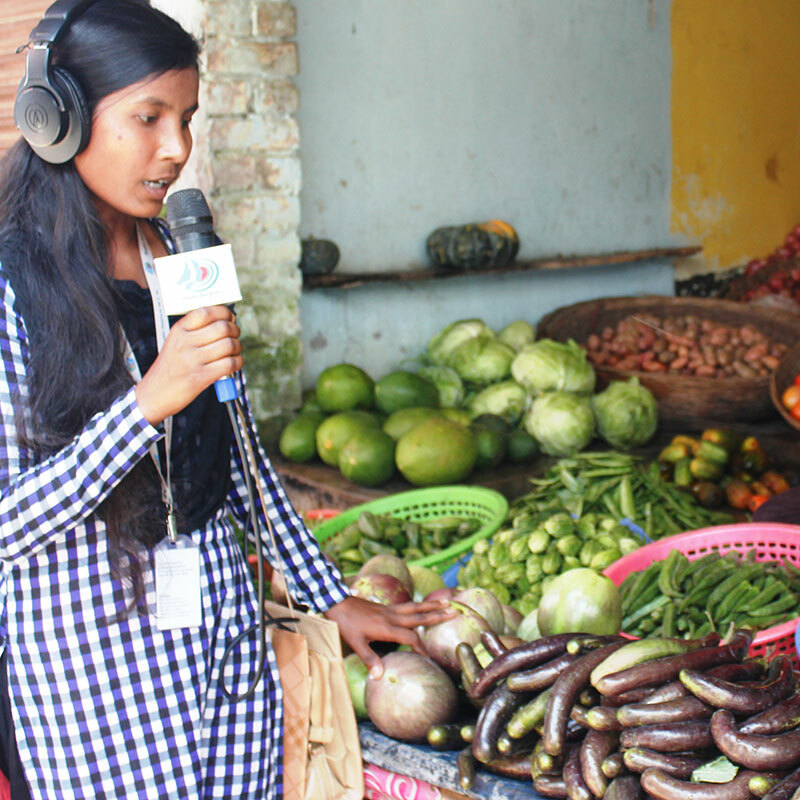 Radio Sarabela strives to contribute to the people of Gaibandha working together with the community for making & broadcasting quality infotainment-based program focusing reduction of poverty, discrimination and injustice in the society. •	To be a viable, credible alternative to the public broadcaster for rural and char communities of Gaibandha district. •	To develop, produce and provide ethical programming and development media aimed at educating, empowering and uplifting the community. •	To increase our listenership base and become the largest and most successful community radio in Bangladesh through good business practices, sound programming policies and journalistic excellence. •	To enhance and actively encourage the participation of the community in the programming of the Station. •	To nurture mutually beneficial partnerships and strategic alliances with and between Radio Sarabela, the community, civil society organizations, the business sector and government. •	To participate in the rebuilding and strengthening of civil society and to support and help deepening the impact of other civil society organizations working in the interests of the community. •	To promote the role of community radio in support of democracy, development, community empowerment, freedom of expression and combating of all forms of discrimination and poverty in Bangladesh.